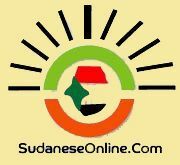 Khartoum/Geneva (ICRC) – Five Sudanese soldiers held in Darfur were released today by the Sudan Liberation Army – Ali Karbino (SLA-AK), an armed opposition group. The International Committee of the Red Cross facilitated the operation in its capacity as a neutral intermediary. "The Sudanese authorities and the SLA-AK asked us to facilitate the transfer and provide logistical support for this operation," said Jean-Christophe Sandoz, head of the ICRC delegation in Sudan. The regular dialogue the ICRC maintains with the government authorities and various armed opposition groups allows it to play its unique role as a neutral intermediary.